Now that we're past the hottest season, it's time for apple picking! Upstate New York is no stranger to apple orchards and Clifton Park is home to many who grow a variety of apples. Spend the day frolicking in the orchards for your choice of apples. Afterwards, eat them as a snack, bake them into a pie or cobbler, or make your own applesauce. 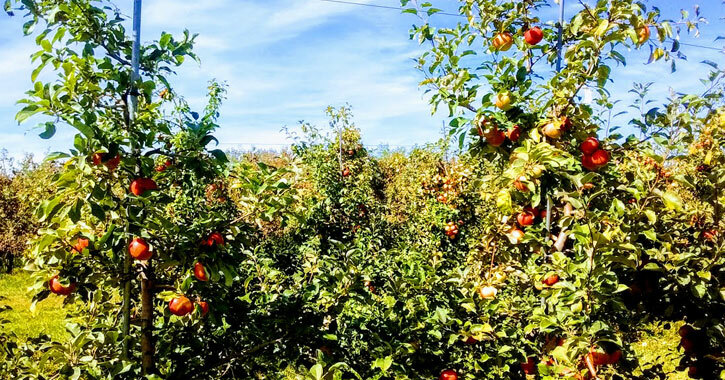 Looking for another orchard in the area? 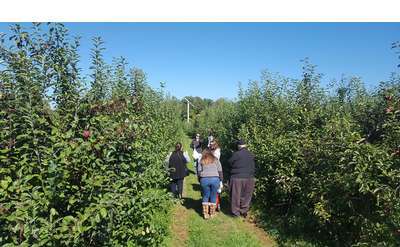 Check out a complete list of Capital Region orchards. Don't forget all the fall fun farms can offer kids. Treats like apple cider and doughnuts, hayrides, mazes, and much more are waiting for you and your family. Ellms Family Farm is located right in Ballston Spa and offers tons of fun! Don't know which type of apple to pick? See our easy guide on which apple is right for you! Check out all the fun at Hicks Orchard during fall harvest weekends! Pick your own apples, hang out at the bouncy barnyard, feed the goats, and more. Malta Ridge Orchard grows a variety of vegetables, berries, and of course, apples. Visit their farm store to see their selection, u-pick in season fruits, and enjoy fresh cider donuts with a cup of coffee. Goold Orchards features U-pick apples and pumpkins, a farm store with freshly baked treats, and they offer school tours. Family-owned since 1907, Knight Orchards offers apples, pears, fresh-pressed cider, local maple syrup and honey, homemade pies, and tea breads. Choose from more than a dozen varieties of apples and plenty of other fruits & vegetables at Bellinger's Orchard. While you're there, enjoy a hayride, and a corn maze! 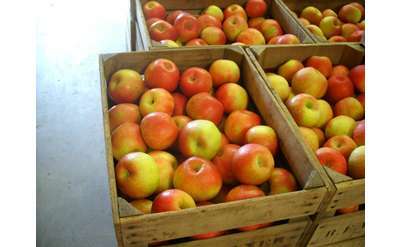 Pick your own apples at Riverview Orchards, located in Clifton Park. In addition to the orchard, the property features a well-stocked country store. Pick your own apples, berries, and pumpkins at Kristy's Barn in Schodack, or choose from a variety of freshly grown and baked goods. Kristy's Barn only sprays cops when it is absolutely necessary. Plan a fall visit for even more fun like hayrides! Open all year, Saratoga Apple is the place to go to pick your own apples, or get a variety of other farm products. The Darrows have been growing apples for five generations, using low-spray techniques and micronutrient fertilization.